True Cut Tree Care is a second generation arborist owned tree service, that services the communities throughout Oakland and Wayne county. We are a small family run company that continues to grow every year, licensed and full insured, and make lasting relationships with our customers who are always happy with our work and professionalism. 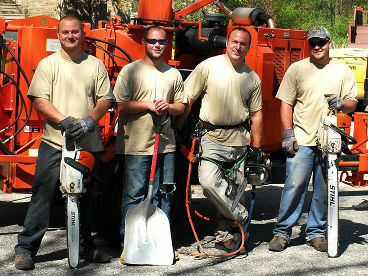 We top of the line equipment that can handle all types of tree jobs, and landscaping. Our crew is respectful of our customers property, and safety is top priority to us. We employ trained professionals, our employees have been a part of our team since the beginning which has established strong communication skills, essential in implementing each job smoothly and keeping an extremely safe job site. Safety is a top priority with us and we take every precaution to ensure the protection of ourselves, as well as your property- which includes other trees and plants close to the work area. Our tree service not only cuts down and removes trees, we are strong supporters of tree planting, especially native trees and plants. Everyone knows how important trees are to the environment, but planting native species is a particularly great benefit. It’s cheaper for you in the long run, less maintainence, habitats for native birds and other wildlife, and there’s even more reasons why we encourage to plant native. When you are ready to do some landscaping, we will work with you to design a landscape that you will be proud of. Do you need emergency tree work? We are able to respond immediately if you experience storm damage in your area. Our clients continually praise our prompt response time and service. We are tree experts, specializing in tree removal, tree trimming and pruning, stump grinding, tree planting, tree hauling, and landscape services. We also provide firewood, chipping brush and mulch at amazing prices. Frank Bankowski, owner and tree climber, worked for his father’s tree service as a teenager doing groundwork and learning techniques along the way; he received his first professional training as a climber for Asplund. A few years later he worked for a company that was subcontracted by Southern California Edison to remove trees damaged by the bark beetle infestation in the San Bernadino Mountains. 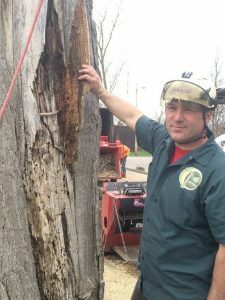 When Frank returned to Michigan he took True Cut Tree Care to the next level and we have been developing the company into the highest ranked tree service in Southeast Michigan. And True Cut continues to grow, expanding further west and taking on more jobs in Milford and surrounding areas as well! Our awesome customers and referrals are to thank! Farmington, Bloomfield, West Bloomfield, Franklin, Milford, Troy, Southfield, Birmingham, Livonia, Novi, Royal Oak, Ferndale, Northville, Detroit, and More!